I’m Dr. Hauser and I’ve been a patient plenty of times, just like you. Are you a human or just a medical book with arms and legs? Will you be pretentious and make me feel stupid for asking all my questions? Will you hear my concerns and actually listen or will I leave feeling frustrated? Is this a collaboration (I have a brain too! ), or will you quickly pigeonhole me, hand me a quick prescription, smile and walk out? Do you know what you’re talking about when you give me advice, draw my blood, or write me a prescription? Life as a young doctor was awesome (married the woman of my dreams, had 3 wonderful children, pets, the picket fence, etc.) but life has a way of getting complicated and I started having medical issues myself. I was thrown some curveballs and suffered a series of illnesses. I started to feel not myself and very unhealthy. I started to withdraw from life other than when my family dragged me back. My issues ranged from kidney stones, shingles, Lyme disease, tinnitus, and Bell’s Palsy to stress, anxiety and (what I dreaded the most) panic attacks. I’ve had high cholesterol, reflux (GERD), put on extra pounds, and tried all kinds of exercise and diets. I know all too well what irritable bowel disease is and just how little it is regarded in the typical American medical system. My medicine cabinet was FULL of prescriptions. I also know first hand about SSRIs, anti-anxiety medicine and the deep desire for a more natural, more effective solution without all the awful side effects. So I set out on a journey. Maybe like the one you’ve been on, bouncing from doctor to doctor and rushing through 15 minute appointments (after waiting for hours!). Google became my best friend (albeit a dangerous one). I started to realize that the food that I chose to eat could help me feel better, or make me feel worse. Eventually I discovered Complementary and Alternative medicine, Functional medicine, Ayurveda, Chinese Medicine, etc. Anything other than Western Medicine, which treated me like a number even though I was part of the system. I realized that I needed the best of both worlds and that’s when I found Integrative Medicine: I began studying with Dr. Andrew Weil at the University of Arizona as a Fellow in the Integrative Medicine program. I learned how to take the best parts of Western Medicine and “integrate” them with Complementary and Alternative Medicine. Now, my medicine cabinet is much simpler and my refrigerator, garden, and pantry are much healthier. Most importantly, my life is less stressful and more full. So here I am today. I’ve walked in your shoes…somewhat. I’ve suffered like you…to some extent. I’ve pulled my hair out and drove my (awesome) wife crazy. But I can honestly say I’ve come out on the other side, and it’s beautiful. Do you have more questions about me…or more importantly about you? I want to talk with you about YOUR specific questions! Click here to ask me a question! 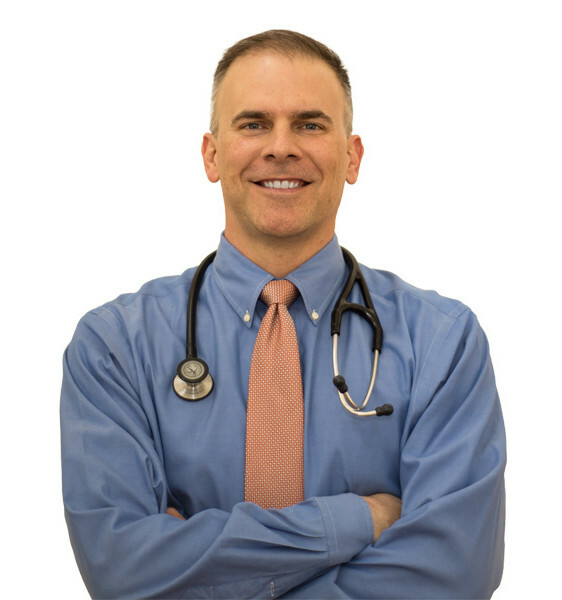 I’ve been a physician since 1994 and board certified since 1999. I went to Tulane University for my B.S. and Uniformed Services University of the Health Sciences (the medical school for military doctors) for my M.D. I did my internship in surgery (picture Greys Anatomy here) and my radiology residency in California. For the majority of my career I practiced 100% Western Medicine…until I KNEW there HAD to be something better. Let's Work Together So You Can Tell Your Success Story Too!